Riverbed is doing something really interesting. The company is combining two of its SteelCentral performance management products into one. Its newly released SteelCentral AppResponse 11 represents a convergence of packet analytics tool SteelCentral NetShark and network-aware application performance management tool SteelCentral AppResponse 9. Network managers have traditionally used SteelCentral NetShark to troubleshoot network problems, while application managers have used SteelCentral AppResponse to understand how application performance and end-user experience are affected by the network. SteelCentral AppResponse 11 serves both of these use cases within one platform with a single deep packet inspection engine and user interface. With this new product, network managers will benefit from having a packet analysis tool that better understands applications. Meanwhile, application managers will have immediate access to the packets that are directly involved in an application problem, allowing them to perform deeper analysis. 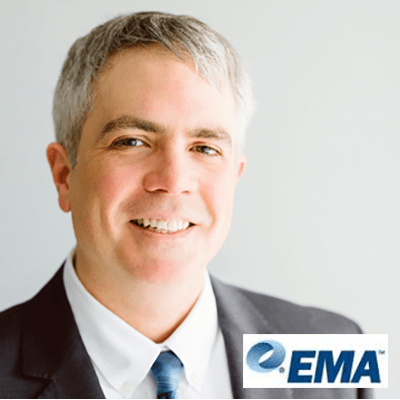 EMA Research has shown that network teams are increasingly trying to align their network management practices with application performance and end user experience objectives, while application managers are actively looking for tools that give them insight into how the network is affecting application performance. SteelCentral AppResponse 11 addresses both of these goals. Many enterprises are today converging IT operations, with cross-domain teams of experts from networking, systems, storage, security and applications. These converged operations teams need monitoring and management tools that can encourage cross-domain collaboration, integrate workflows, and eliminate visibility gaps. SteelCentral AppResponse 11 is one such solution. It will encourage network and application management teams to collaborate by giving them a common tool with integrated workflows and a shared data set. 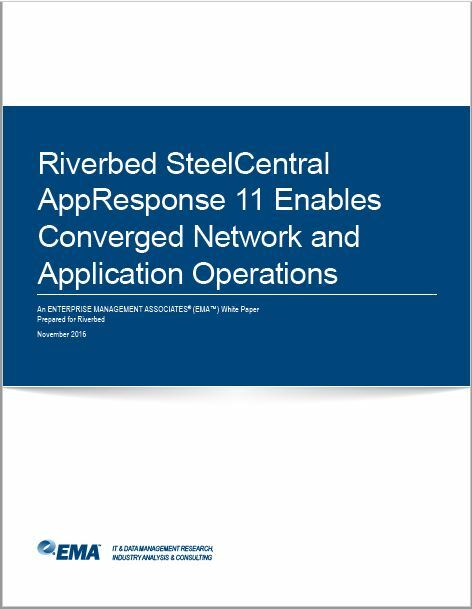 To learn more about how enterprises are converging IT operations and how Riverbed is supporting this trend with AppResponse 11, download my new white paper ‘Riverbed SteelCentral AppResponse 11 Enables Converged Network and Application Operations’ or listen to this webinar. And if you have any comments or questions about what you find in that paper, feel free to reach out to me on Twitter or via email. Shamus McGillicuddy is the senior analyst for the network management practice at Enterprise Management Associates. He has more than nine years of experience in the IT industry, primarily as a journalist covering the network infrastructure market.